The CGI Nerd shows a quick way to make grass in Houdini using its fur and hair grooming tools. When speaking about 3D and grass, there is a multitude of methods for creating the green stuff from patches to entire fields. One approach is to use builtin fur and hair grooming tools. 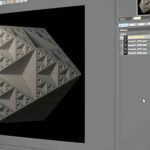 Showing this method inside of SideFX Houdini is a new tutorial from Alejandro Perez (CGI Nerd). Fur and Hair systems usually have a central styling feature, allowing you to groom the particles the way that you want. 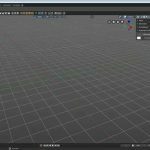 Perez walks through how to create a patch of grass showing how to place it on the surfaces you wish to, and how to style it so that it looks more like grass and less like fur.